Mykolaiv was given this unofficial name because four shipyards are located in the city. 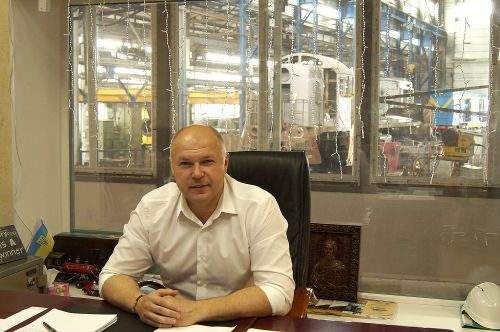 However, very few people know about the Mykolaiv diesel locomotive repair plant. Most people consider Mykolaiv as the "city of shipbuilders." Mykolaiv was given this unofficial name because four shipyards are located in the city. 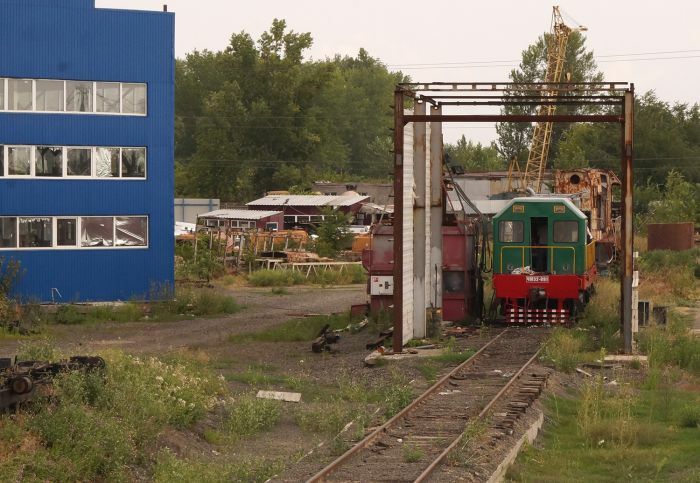 However, very few people know about the Mykolaiv diesel locomotive repair plant. The plant recently announced itself to the world by presenting a modernized version of the TGM4 diesel locomotive. The Mykolaiv diesel locomotive repair plant is located in the Kulbakino micro-district on the southeastern outskirts of Mykolaiv. The Mykolaiv aircraft repair plant, which is part of the Ukroboronprom state defense concern, is located nearby. Oleh Batischev, the production manager at the Mykolaiv diesel locomotive plant, greets me at the entrance to the plant. We go straight into a workshop where diesel locomotives are being repaired. Four diesel locomotives at various stages of repair are located in the workshop. Batischev leads me through the shop into the street. "Our tour will start from the other entrance, where diesel locomotives are delivered to us," he said. We walk through the workshop into a courtyard with several access roads, in which several diesel locomotives are awaiting repair. One of the diesel locomotives is in a terrible state. In fact, it is a rusty frame without an engine. It is hard to believe that this scrap can still become operational. “Do you also repair such ‘dead’ locomotives?” I ask. 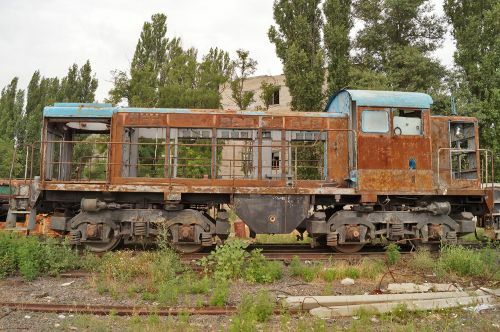 “Yes, we also receive such diesel locomotives. One can say that we bring them back to life. They leave this place as new," Batischev replies. To the right of the workshop is an incomprehensible structure, where a ChME-2 shunting diesel locomotive belonging to the Nika-Tera portside company stands. It is a testing station where diesel locomotives are tested before they are delivered to the customer. Several people are swarming around a diesel locomotive, periodically starting and shutting down its engine. "This is where diesel locomotives undergo the final tests before they are delivered to the customer," Batischev says. A 37-ton crane that is used to lift engines out of locomotives and put them back in stands in front of the entrance to the workshop. "The diesel locomotive came in a “cold condition.” Our people take off its body and this crane removes its engine and puts it on a special equipment. The engine then goes into the workshop, where its complete disassembly begins: crankshaft extraction, piston disassembly, etc. This is all distributed among various workshops: the fuel equipment goes into one workshop and the electronics into another," Batischev said. The plant can repair the TGM4, TGM6, TEM-2, TEM-7 ChME-3, M62, 2TE 116, and other locomotives. 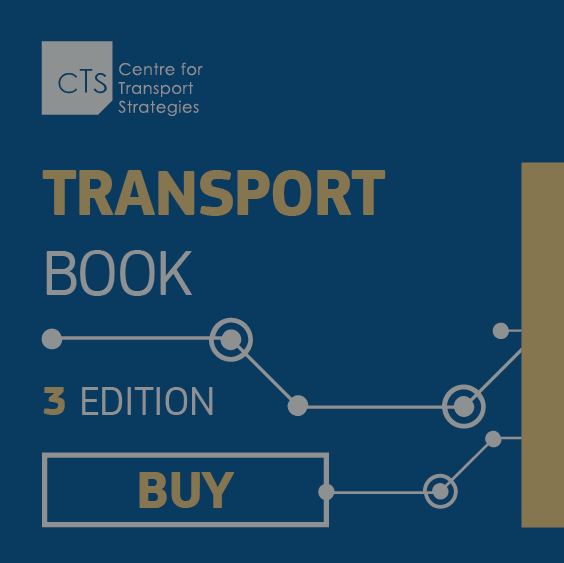 A workshop can repair 4-5 diesel locomotives simultaneously. We go into the diesel workshop, where engines are sorted. Loud claps can be heard in the workshop. The source of this sound is Oleksandr, who is cleaning valves. A little further ahead are machines on which components for diesel locomotives are made. "We have to make some components ourselves because some parts are either difficult to buy or no longer in production. However, that is good for us because we supply some of the components to our partners," says he says. Not far from the machines is a furnace in which thermal hardening of components is performed. Next to it is a “cabinet” housing a multi-axis boring machine. We step outside again, where an unusual unit stands. "It is a guillotine. 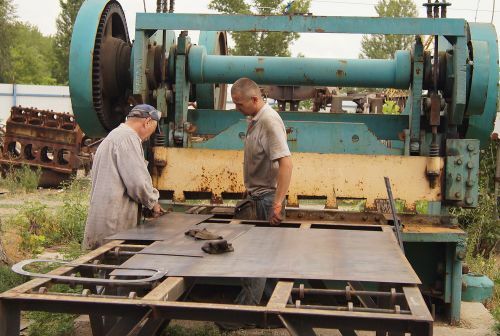 Our guys cut metal sheets into blanks," says Batischev. This concludes our tour. Batischev informs me that the director of the plant has returned. 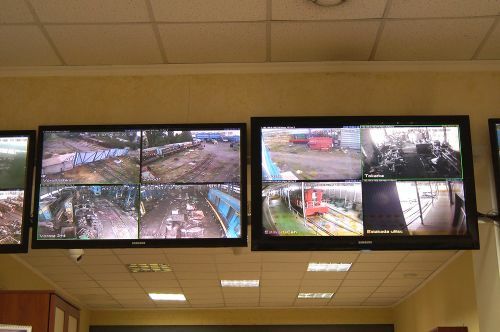 The office of the Mykolaiv diesel locomotive repair plant is located in a small part of the workshop. Therefore, the distance between production workers and managers is negligible. It is an open-plan office. The desk of the plant’s Director Viacheslav Simchenko is located near the entrance. The first thing that catches my eye is the strategic location of his chair. On the one hand, the director can see the entire office, and he can observe the work in the workshop if he turns his chair slightly. On the other hand, he does not need to turn around because all the corners of the plant – from the gate to the boring machine – are visible on several monitors hanging over his desk. "It is very motivating for my employees. My telephone is connected to the monitors, so I can watch the progress of operations even when I am not in the office," says Simchenko. “Although the plant is young – we are only six years old – I have been working toward this since 1998. I once worked as a scientist in the field of applied mathematics in Odesa. Then life forced me to abandon science and move into a more practical sphere. At the beginning, we simply sold parts for locomotives. Over time, we began performing some repair work on leased premises or in cooperation with partners. We became an independent enterprise with our own production facilities only in 2011. We performed our first locomotive repairs practically under canopies in the fields. The construction of the workshop took place simultaneously,” he says. “Why were Mykolaiv and this site selected?” I ask. “Mykolaiv was selected because there were intelligent personnel and people who could disassemble and assemble diesel locomotives here. A construction battalion was previously located on the site on which we are located now. There were access roads to this site. This place looked very sad when we bought it: there were impassable bushes and the rail tracks on the territory had been looted. We had to rebuild all the tracks to the adjoining station,” he said. Ship repair workers formed the core of the future staff of the Mykolaiv diesel locomotive repair plant. The plant now has 120 employees. "It was a difficult time. It was difficult to find good specialists, but there were enough of them in Mykolaiv, especially in shipyards. The operating principle of a ship’s diesel engine and a locomotive is the same. That is how we started, and railway workers later joined us. For example, your guide Oleh Batischev worked on the railways for many years," Simchenko said. 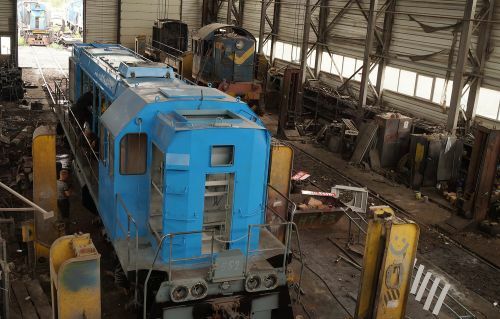 The Mykolaiv diesel locomotive repair plant is now a full-fledged repair plant. Repairs of all types of diesel locomotives – from the TR-1 to the KR-2 – are now performed at the plant. “The cost of each repair or modernization is determined individually. For example, a TR-3 takes 30 days to repair and a TR-1 five days. However, even these repair periods can vary depending on the condition of a locomotive. To answer your question accurately, I will have to bring up the calculations for every order. Therefore, I will answer as follows: if we continue to receive orders, it means that our clients are benefiting from this and need it," the plant’s director says, evading a tricky question about the cost of repair works. “Who are your customers?” I ask. “They are mostly private industrial companies: the Zaporizhstal iron and steel works, the ArcelorMittal Kryvyi Rih steel plant, the Poltava ore plant, the Illich iron and steel works, and a number of port operators, including Nika-Tera. We work all over Ukraine. ChME-3 diesel locomotives were even brought to us from from Georgia last year. We repaired three of them,” Simchenko says. 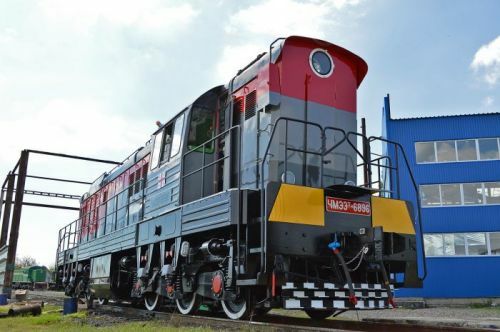 The core operation of the Mykolaiv diesel locomotive repair plant is modernization of diesel locomotives. 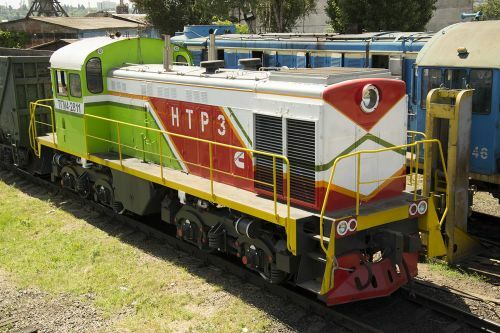 The company developed the project for modernization of the aforementioned TGM4 diesel locomotive four years ago. The diesel locomotives that are modernized at the plant are jokingly referred to as "the Americans" because they are fitted with engines manufactured by the Cummins company. 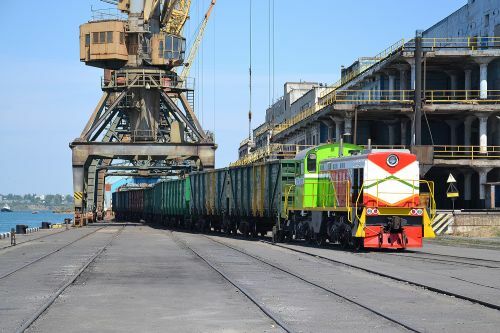 The first TGM4 diesel locomotive to be modernized at the plant is currently in operation at the Odesa Container Terminal. In addition to TGM4 diesel locomotives, the Mykolaiv diesel locomotive repair plant has modernized 13 TEM-7 and four M62 diesel locomotives. "We can repair and modernize 15-20 locomotives per year. For example, we repaired about 20 units in 2013 and 15 in 2016. We had a hard time after 2013, it was very difficult to maintain profitability, many customers reduced orders, and the hryvnia’s exchange rate jumped... But we survived," the plant’s director says. “Why did you choose Cummins engines over Caterpillar engines?” I ask. "It makes no difference to us which engine to install, Cummins or Caterpillar. Perhaps Cummins was more persistent and more flexible because it was more active in its efforts to enter our market. Therefore, we implemented our first project together with Cummins. However, we can also install Caterpillar engines. We have a partnership agreement with the Czech company CZ Loko. As for modernization, we always offer our customers several possible options. CZ Loko developed its modernization project based on installation of Caterpillar engines, so we also offer it to our customers. However, we have so far installed only Cummins engines,” Simchenko says. However, orders for repair work predominate. “Of course, orders for replacement of individual components or small repairs are much more," he says. The hard times for the plant have passed, but problems cannot be avoided. According to Simchenko, the main problem is the unsatisfactory quality of the parts that are delivered to the plant. "Therefore, we are trying to establish production at our own facilities or in cooperation with partners. However, we still purchase a significant part of the components," the director says. The plant is experiencing many problems with sprayers. The percentage of defective items sometimes reaches 30% per batch. There are also difficulties with pistons. "Even one and the same producer does not guarantee consistent high quality. One batch can be normal and the other defective," Simchenko says. 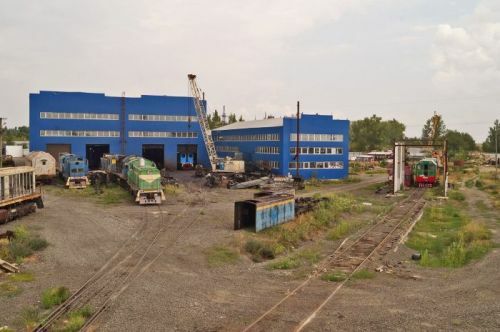 Despite these problems, the diesel locomotive repair plant continues to move forward. The company is constantly expanding the scope of its operations. “We still have a ship repair division. We repair small vessels, tugs, and boats. We rent a mooring berth at the Chornomorsk shipyard," Simchenko says. 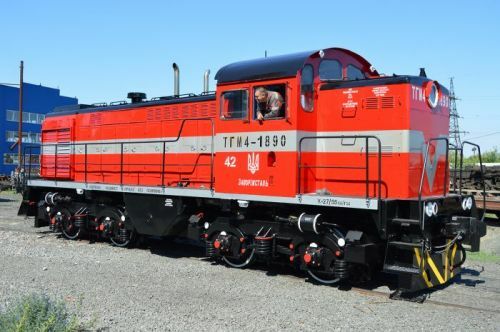 The Mykolaiv diesel locomotive repair plant also owns 10 shunting diesel locomotives, which operate on the access tracks to the ports of Odessa and Chornomorsk under lease agreements. “What are your plans for the near future?” I ask. “There is more work every year. We have to deal with many spare parts, and there is not always enough space. We plan to build another small workshop. The foundation for it has already been laid," Simchenko says. The conversation with Simchenko ends on a philosophical note. "In general, I try to talk less about plans and do more. There are definitely very interesting and ambitious plans. We are currently completing several projects that I hope will be implemented soon. I will not talk about them now. It is better to talk about what has already been done." How Will Ukrzaliznytsia Upgrade Its Commuter Trains?